A blend of Dimyat, Sauvignon Blanc & Chardonnay, fermented and aged for 6 months in Frech, Bulgarian and American oak barriques. 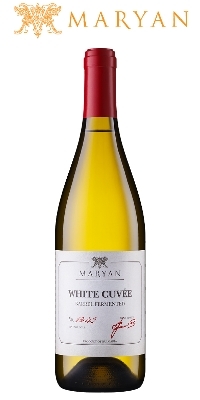 Palate – Dry, medium bodied with well integrated oak, ripe mango and passion fruit and a long, balanced finish. Pair with seafood, rich salads and soft cheese.